“Very confident” four-year-olds outsmart hunters and protect their clan. 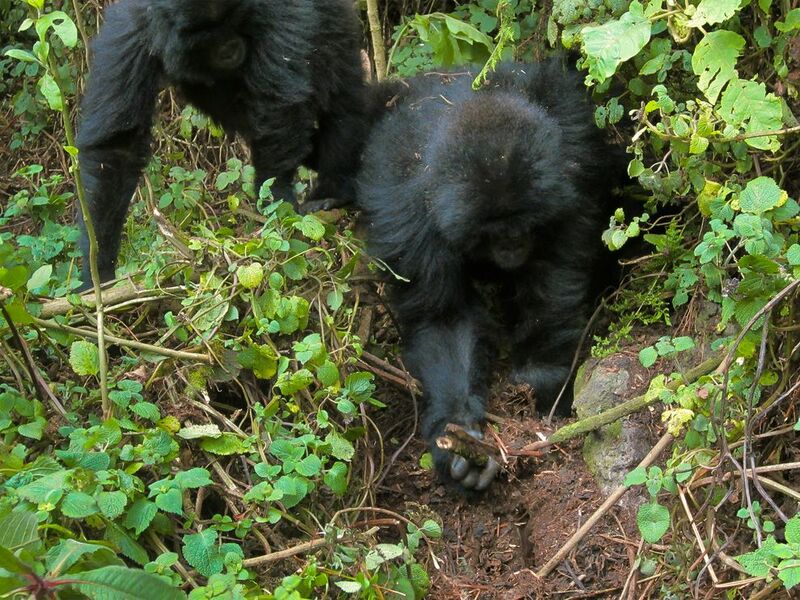 “This is absolutely the first time that we’ve seen juveniles doing that … I don’t know of any other reports in the world of juveniles destroying snares,” said Veronica Vecellio, gorilla program coördinator at the Dian Fossey Gorilla Fund’s Karisoke Research Center, in the reserve where the event took place. Bush-meat hunters set thousands of rope-and-branch snares in Rwanda’s Volcanoes National Park, where the mountain gorillas live. The traps are intended for antelope and other species but sometimes capture the apes. Adults are generally strong enough to free themselves. Youngsters aren’t always so lucky. An ensnared infant named Ngwino, found too late by workers from Karisoke, died of snare-related wounds. Her shoulder had been dislocated during escape attempts, and gangrene had set in after the ropes cut deep into her leg. Tracker John Ndayambaje spotted a trap very close to the Kuryama gorilla clan. He moved in to deactivate the snare, but a silverback named Vubu grunted, cautioning Ndayambaje to stay away, Vecellio said. The speed with which everything happened makes Vecellio, the gorilla program coordinator, think this wasn’t the first time the young gorillas had outsmarted trappers. “That’s why they destroyed them,” Vecellio said.